In view of the above, it will be greatly appreciated, if you could answer the following questions as accurately as possible. Please be assured that the information will be regarded, as completely confidential. No individual fly-fisher will be identified as such in the final report. Please be aware by completing this survey you are providing consent for information to be used within this study. Please do not fill out this questionnaire if you are under 18 years of age. Take note that this research is for academic purposes only and no financial gain is made from this research. 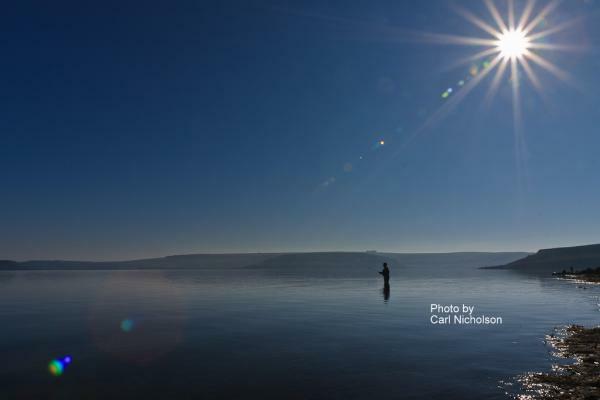 The success of this project is totally dependent upon your kind assistance, as no recent data sets exists of fly-fishers fishing Sterkfontein Dam. Furthermore, if you are interested in the outcome of this project I shall gladly e-mail the information to you. Please provide your email address if you wish to receive feedback. If at any stage you may have any other enquires you are welcome to contact me via email, my email address is ghoogendoorn@uj.ac.za. Your kind co-operation in this venture is gratefully acknowledged.